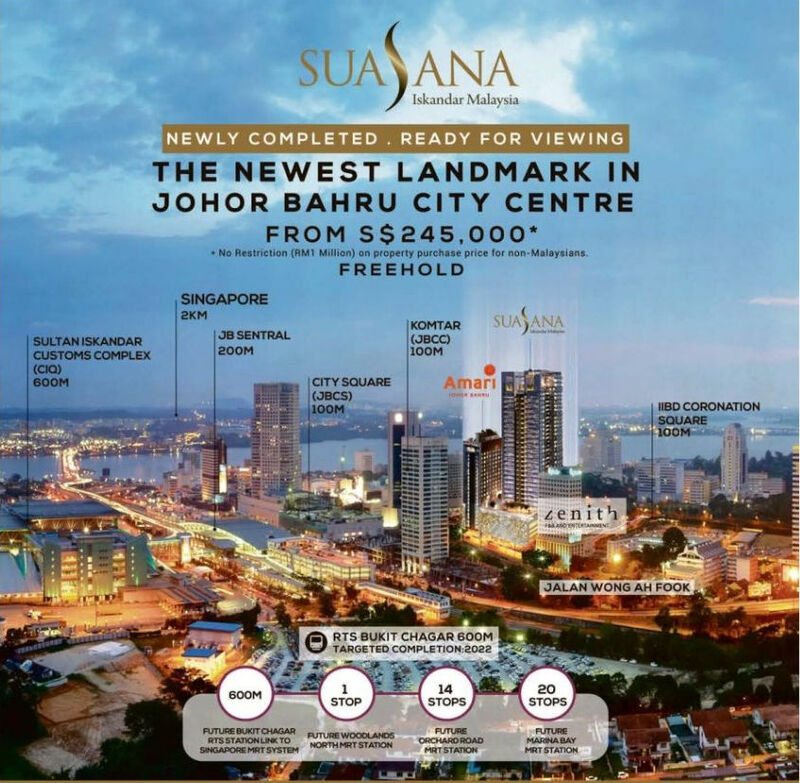 Johor Bahru $6.7 Billion Transformation of its City Centre presents Hidden Opportunites. Experience an all embracing elegance at Suasana Iskandar Residence, a freehold iconic lifestyle where the stunning residency, premium facilities and Samsung Smart Home package will enrich your life to the fullest. Yet at the same time accords you the pleasure in shopping, entertainment, international cuisine plus the ease of commuting in the heart of Johor Bahru City. An Excellent Opportunity to own an affordable Freehold apartment, just 5 mins train ride from Singapore, perfect as 2nd Home for your retirement option. Register for Your Free VIP Pass Now!